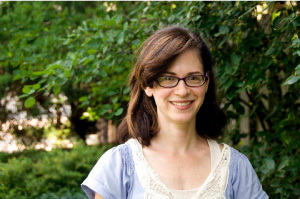 Today’s installment of 7 Questions to a Linguist features a conversation with the popular, prolific, and Klingon-certified writer Arika Okrent, PhD. Not only is Okrent a frequent contributor to Slate, The Week, and Mental Floss, where she takes an entertaining approach to exploring and explaining linguistic phenomena, she’s also this year’s recipient of the Linguistic Society of America’s Linguistics Journalism Award. In this interview, Okrent invokes Gertrude Stein, admonishes the language-shamers, and shares the advice that pushed her to finish a doctorate in Psycholinguistics. 1. Which areas of research compel you most today? And are they the same ones that captured your attention at the start of your career? I think corpus linguistics is very exciting, and it didn’t exist as such, or only in a much less powerful form, when I was starting out. The fact that we have vast electronic collections of examples of how people actually talk, write and use language in a variety of contexts, as well as the computational techniques for making sense of that data is an incredible development. Language, like rock formations, wind patterns, or solar radiation, is a thing that exists out there in the world and we should be able to determine the systems underlying it by looking at it in the world with all its messy variation. 2. Which technologies do you believe are having the most profound effect on how we communicate today? It’s kind of obvious to say the internet or social media, but I do think those things are changing the way language develops in a way that no other technology since the invention of writing has. The speed and frequency at which messages can be exchanged means that small adjustments in phrasing or lexical choice can spread through groups in a matter of days. More importantly, the groups through which they spread are no longer defined by geographical boundaries or even, necessarily, social factors like age and class, but by interest. Who we talk to, who we hear from online depends on who we follow, which news sources we choose to pay attention to, which hobbies we engage in. In-group ways of communicating develop in groups that have never had a chance to exist as language communities before. And because most of this interaction is online and available for anyone to look at, the techniques developed for corpus linguistics allow researchers to study the facts of communication in a whole new way. I’ll name of a few of them: Dan Jurafsky, Jure Leskovec, Christian Danescu-Niculescu-Mizil, Lillian Lee, Justin Cheng. I once had a friend try to teach me Farsi exclusively through writing. I didn’t know the script at all, and I was curious to see whether it was possible to learn a spoken language solely from written symbols, without ever having heard it. Of course, deaf people do this all the time, but I couldn’t. I have to admit I didn’t give it a very good try. 4. What is the best career advice you’ve received? “The dissertation is the beginning of your career, not the culmination of it”. That was the advice that got me to finish my degree. It’s easy to get caught up in the idea that you can answer a question so completely and thoroughly that it will be settled for all time, but very few things work that way and one question always leads to the next. Then, “write the book you want to read.” When I first became interested in the topic of invented languages I didn’t plan to write a book about it, but I kept following my curiosity (which I must admit began as the incredulous, mocking kind) because I kept thinking, “c’mon, what’s really going on here.” The book I wanted didn’t exist, so I had to write it. Even now, writing popular language articles, I’m usually following my own curiosity and trying to answer a question to my own satisfaction, writing the thing that I’d like to read. 5. Which of your professional achievements would you like to see have the most lasting impact on the field of linguistics? It’s okay to talk about invented languages in a linguistics class now. I know of a few programs that even teach a course where the students have to make up their own languages. That’s a great way to learn about the fundamentals of linguistics. In writing for a popular audience I have been saddened to discover such a strong, deep undercurrent of shame running through the way people discuss language. It can manifest itself as insecurity or as bluster – those who have been shamed themselves for their accent or word choice or any number of things often turn around to become the shamers of others. I’m with Gertrude Stein on commas in general: “I have come finally to be indifferent to them. I do not now care whether you put them in or not.” She had no respect for commas, which she called “servile” and “degrading,” saying they do “nothing but make easy a thing that if you like it enough is easy enough without the comma.” So I suppose that’s slightly on the ‘nay’ side of things, but I really just think punctuation is one of the least interesting things about language.